'NO MAI TSZE' IS CONSIDERED TO BE THE FINEST TASTING OF ALL OF THE LYCHEES. THE FRUIT IS CRISPY, SUPER SWEET, AND HAS A MINUTE SEED. 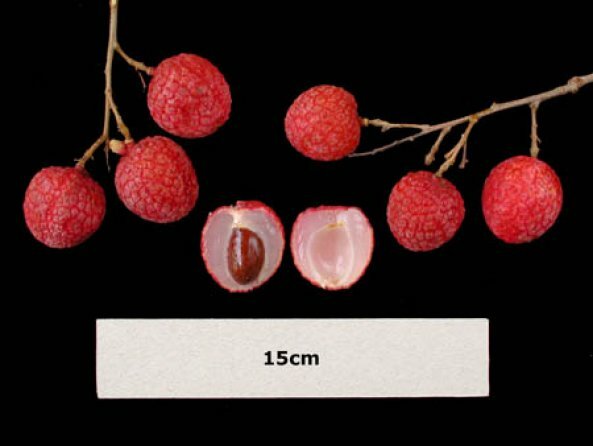 HOWEVER, IRREGULAR PRODUCTION, SMALL FRUIT SIZE, AND A YELLOW TO RED SHELL DISCOURAGE COMMERCIAL GROWERS.